The sauces in the French cuisine! French cuisine refers to various culinary styles derived from the French traditions. The chefs become the “True Artists” and art of preparing sauces has changed the ‘pleasures of tasting’ and the ‘Art de la Table”. We owe those fundamental changes to Marie- Antoine Carême and Antonin Carême. A few months before the death of Antonin Carême, he published a book : “The Art of French Cooking in the nineteenth“. This is a culinary bible in five volumes in which the preparation of the sauces has truly become an art. In this book, he classified the sauces to use them better and adapt them according to their color, texture and temperature. Four mother sauces formed the basis of his cuisine: Spanish, Velvet, German and Béchamel. With a careful and graduated selection of the ingredients, he created what he called “small sauces”; those are the perfect dominant complement in the flavor of a dish. 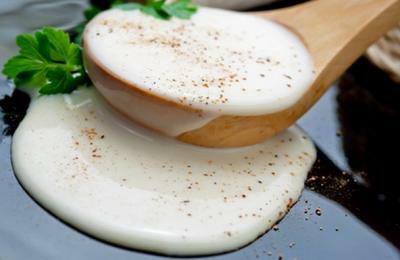 Today, sauces do not end up being tailored to suit every dish. They were created lighter with much less butter and the flour has been incorporated. The Chefs were interested in the original textures like the“mousse”. They also played with its textures, temperature and the contrasts of flavors .They are part of a “cuisine d’ailleurs”, and combining the culinary creation to the tradition; always a pleasure to eat well to renew the flavors!